1. The "Select Candidate" drop down will allow you to change between different candidates in the election. 3. The "YouTube Video" will allow you to create a video Biography for each of your candidates. 4. 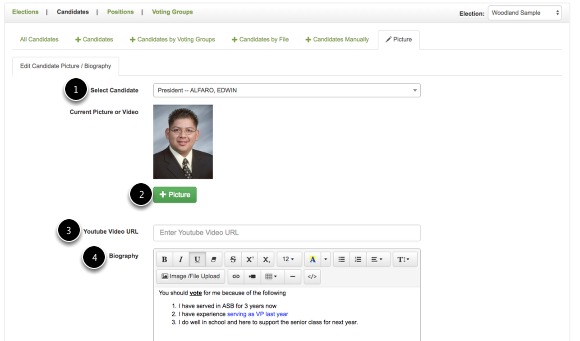 Biography will allow you to write something about each candidate. You can add text about your candidates via these fields. 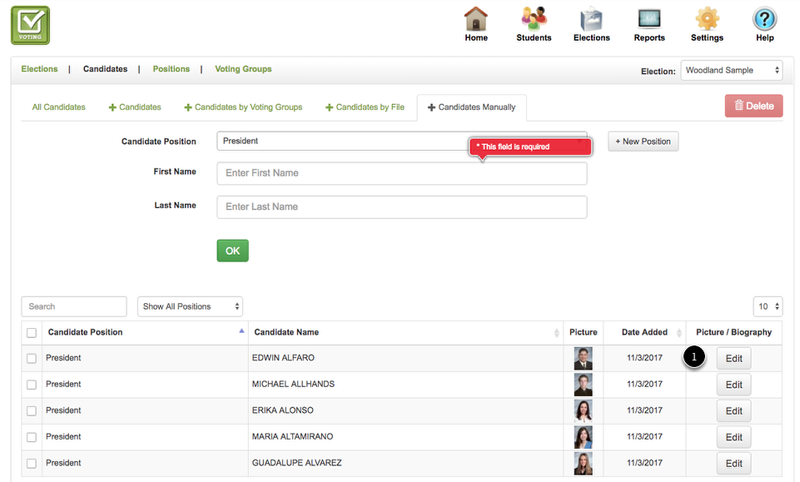 There are two available fields that can be displayed on the voting screen. By default we call the title Biography but you can also change the name of the fields as well. The title for each section can be modified in the System Values section. If you only want one section, you can also delete the title in system values and that extra section will be removed.